sinkerbeam: kidstuff: Look Who's Three! From the Birthday Bear, Happy Birthday, Happy Birthday to YOU!!! It's a special day for the whole world too-- , Happy Birthday, Happy Birthday... HAPPY BIRTHDAY! Happy Birthday to you, Happy Birthday to you. 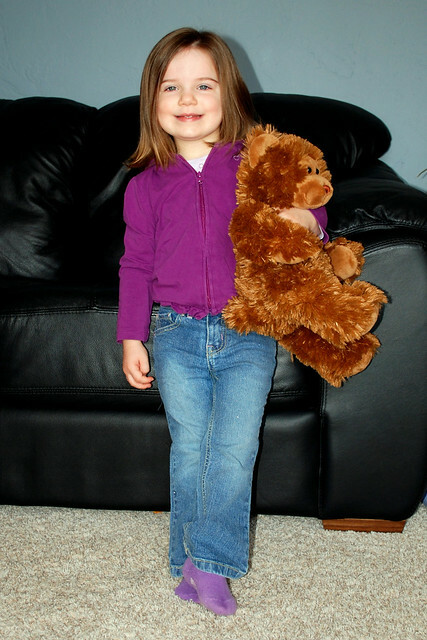 Happy Birthday dear Evelyn, Happy Birthday to you.Look how big you are next to your bear! I can remember when the bear was so much bigger than you were. Hope your day was a good one. Love, Grandma C.